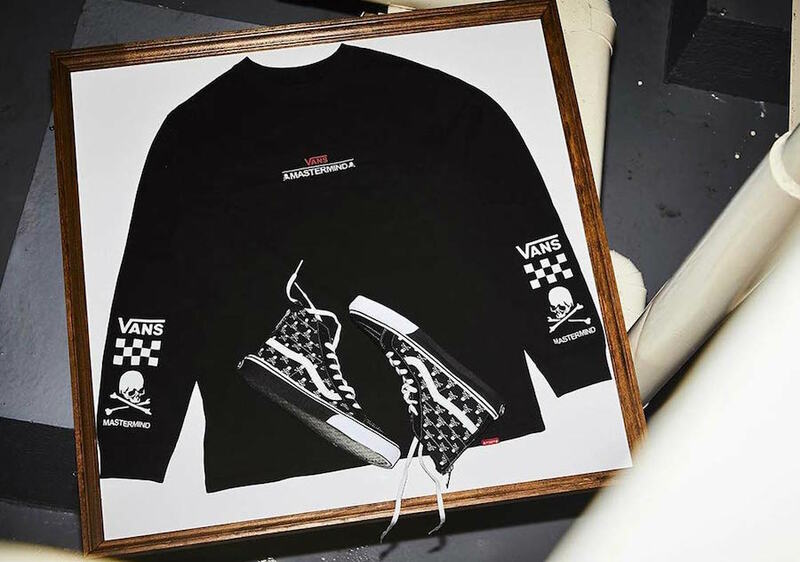 Vans is connecting with Japanese brand mastermind to release another collaboration during the Holiday season. Next up is the SK8-Hi. 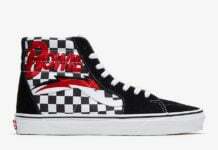 This Vans SK8-Hi features Black across the upper which is paired with all-over skull print on both sides. In addition we have a zipper on the heel. Following is more Black, this time on the midsole while embossed mastermind text runs across it. Finishing the look is White on the toe cap and outsole. 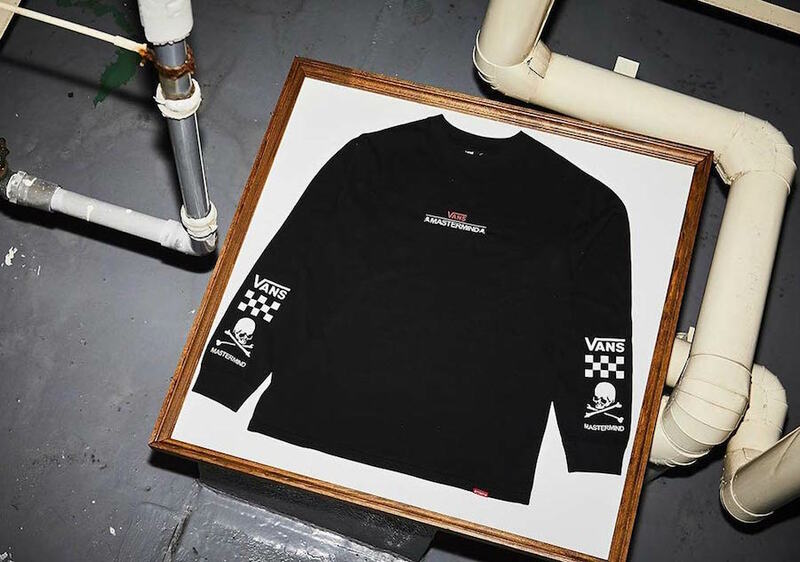 Also releasing is a co-branded long sleeve t-shirt. 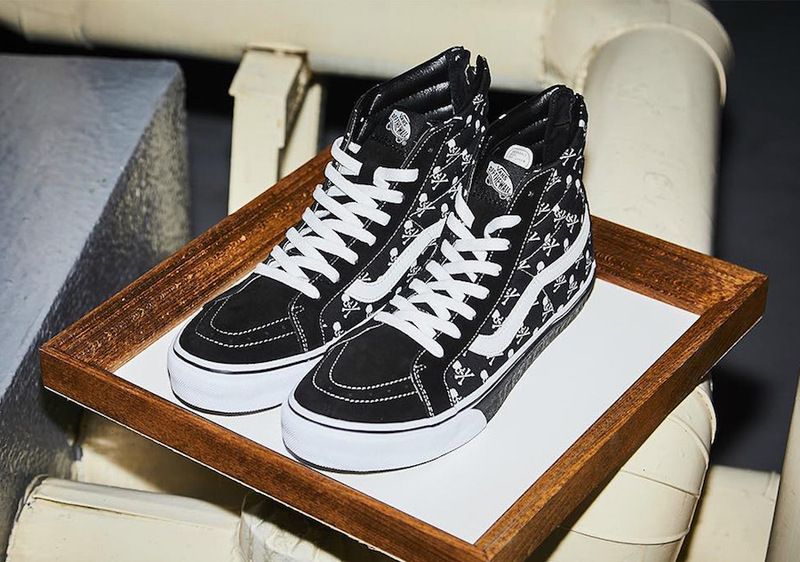 You can expect the mastermind Japan x Vans SK8-Hi to release at select Vans retailers in Japan on December 14th. 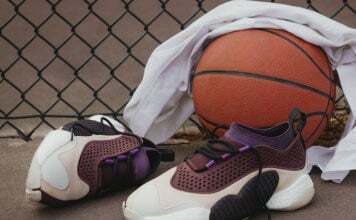 Currently a stateside release is unknown but once more information is available we will make sure to update. For now continue to scroll below to check out more images which will provide you with a closer look.